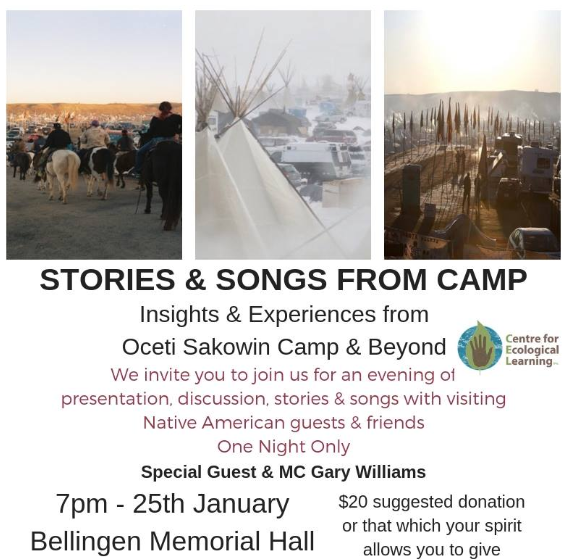 CEL together with INAITC invite you to a unique event to explore insights and experiences from Oceti Sakowin Camp (also known as Standing Rock) & beyond through stories, songs, performance and discussion. Join us for this once only event that includes the legendary Uncle Martin Ballangarry, Joe Newton and Gabadoo, together with our visiting Native American guests. We are grateful to Gary Williams who will be our MC. It is sure to be a magical evening to explore how we cultivate relationship with each other and relationship with the earth. Purchase your tickets via humanitix and be sure to send an email if you are new to Wild Camp and need to fill in an enrolment form. Please note that each session is dependent on numbers and will only run with at least 10 children. REMINDER! 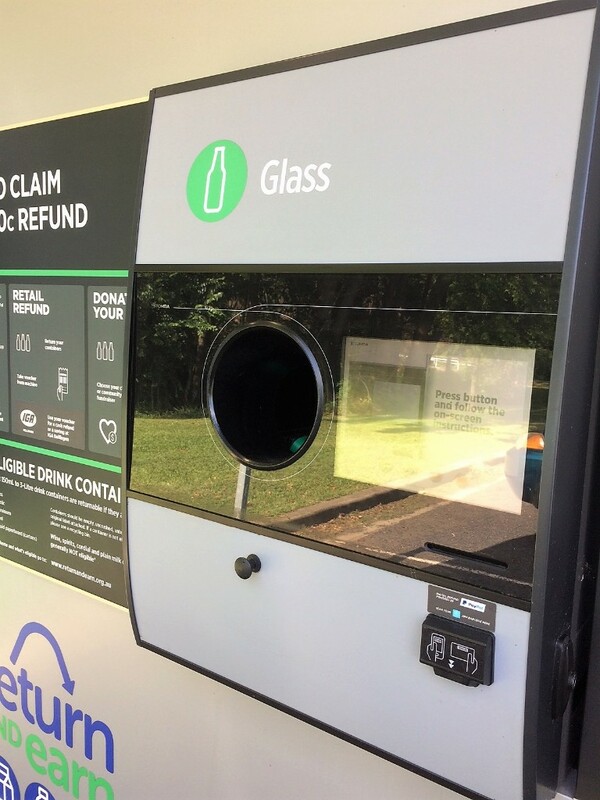 CEL is still a “Local Donation Partner” on the RETURN & EARN reverse vending machine at Connell Park - ending on 24 February. All you need to do is put your cans or bottles in and press the DONATE button – then choose “Centre Ecological Learning” (we are at the top of the list). And voila! 10c goes right to CEL to support our nature connection programs and advocacy. Let us know if you have some bottles and cans to pick up for recycling! Our GiveNow campaign is still open if you would like to donate! All donors will be recognised on our virtual Wall of Gratitude (if they choose to be). 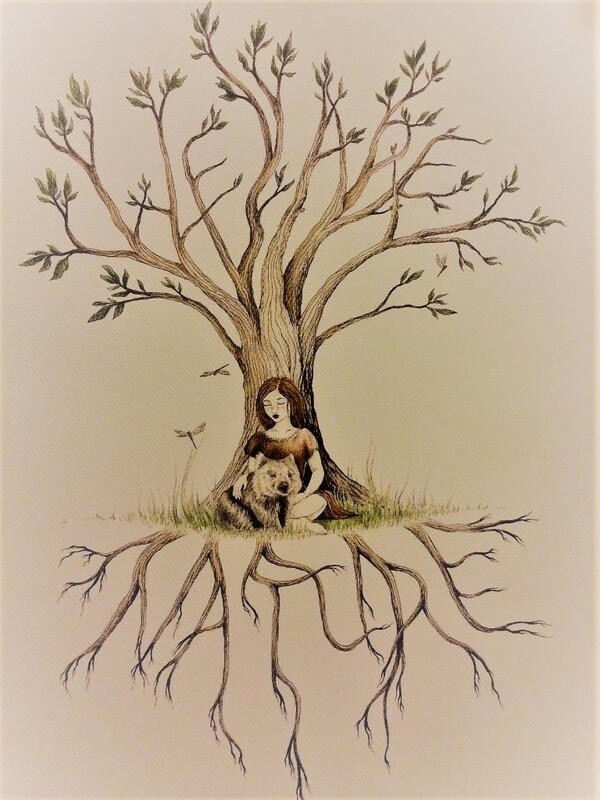 For all donations of $50 or more, you will receive a beautiful “We Are Nature” card sized art work, designed by our very own Holly Mae. For all donations of $100 or more, you will receive the art print, as well as complementary registration at one of the exciting CEL workshops planned for the next 12 months. Does your business align with CEL’s Vision and Mission? We offer the opportunity for one or two advertisements per newsletter. Contact us for more details. The Centre for Ecological Learning (CEL) supports people of all ages to experience Earth-based, immersive, educational experiences that deepen our relationship with ourselves and the natural world. 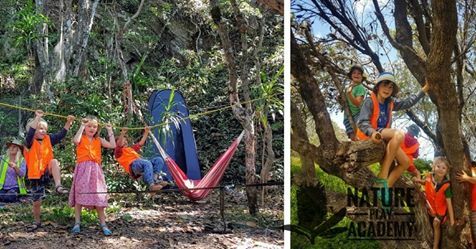 These experiences nourish, inspire and equip people with the knowledge and skills to go forth and adopt more ecologically sustainable ways of living in their personal lives and local community. CEL acknowledges the Gumbaynggirr people as the traditional custodians of the land on which we live, work, and learn. We pay our respects to all Elders past and present.CEL would like to thank our media partners, Bellbottom Media and i Love Bello Shire and our Supporters, Living Earth Aromatherapy, Bellofoodbox and Snapfrozen. CEL is currently looking for Sponsors to assist our organisation to achieve its’ mission.Copyright © 2018 Centre for Ecological Learning Inc.